Tanks may be the stars of the battlefield, but the "soft" vehicles supporting the front lines play an equally important role. With the release of the 1/48 MM Steyr Type 1500A/01, Tamiya gives modellers another interesting subject to add to their WWII armor and aircraft dioramas. Prior to the start of WWII, the German army used a variety of vehicles in preparation for their mobile Blitzkrieg tactics. However, the "Schell" Program of 1940 called for a standardization of vehicles for more efficient production, and one of the vehicles chosen for use was the Austrian Steyr 1500A/01. With its air-cooled 3.5 liter V8 engine and 4WD, the vehicle proved to be rugged and reliable, and was produced as a light truck, soft top infantry carrier, and staff car. It's versatility made it a useful transport vehicle on all battle fronts. 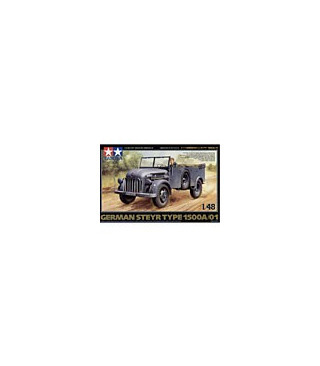 * 1/48 scale assembly kit model of the Steyr Type 1500A/01. * Distinctive shape of the engine hood and features such as the side mounted spare tire accurately reproduced. * Front doors may be modeled in both open and closed positions for increased display possibilities. * Die-cast chassis provides added weight that gives the model greater realism. * 3 types of high-quality markings are also included. 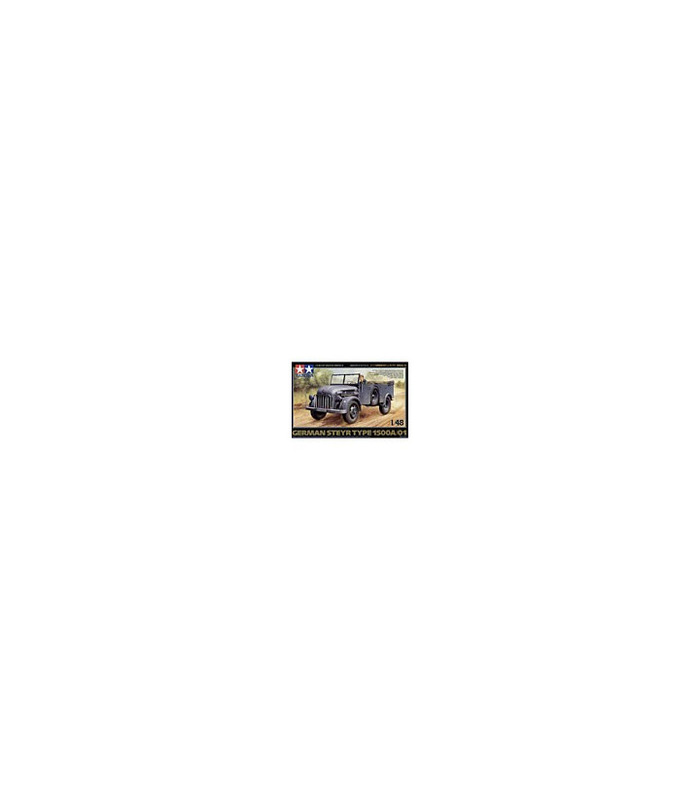 * A great display in and of itself, it is also perfect for dioramas with other Tamiya 1/48MM vehicles, aircraft, figure sets, and accessory sets.